Stuart L. Lustig has been working with Physicians for Human Rights and other humanitarian organizations for 20 years. In that capacity, he has served as an expert witness in dozens of asylum cases adjudicated by U.S. Department of Homeland Security Asylum Offices and U.S. Department of Justice Immigration Courts, with a focus on the assessment of torture, trauma, and associated psychiatric consequences. He has also provided expert testimony on civil matters related to political asylum. He currently provides mentorship to other forensic evaluators. Dr. Lustig has lectured on the forensic evaluation of asylum seekers, interview techniques for legal professionals working with trauma survivors, and vicarious trauma, for Physicians for Human Rights, HealthRight International, Survivors International, Kids in Need of Defense, the San Francisco Asylum Office, and the Executive Office of Immigration Review. He has published in journals on topics such as refugee mental health, the use of forensic testimony in the political asylum process, stress and burnout among U.S. immigration judges, and the managed care peer-review process. Dr. Lustig is the editor of the textbook Advocacy Strategies for Health and Mental Health Professionals: From Patients to Policies. Dr. Lustig is currently the national medical executive for Behavioral Health at Cigna. A board certified child psychiatrist, he previously served as lead medical director for child and adolescent care for Cigna’s behavioral health business. He leads an ongoing effort at Cigna to disseminate health services research via peer-reviewed journal publications and presentations at conferences in order to enhance the company’s credibility with clients, provider groups, and customers. These efforts have recently yielded several peer-reviewed publications. Cigna recognized the teams led by Dr. Lustig that contributed to these initiatives with Cigna’s prestigious Quarterly Champion Award. 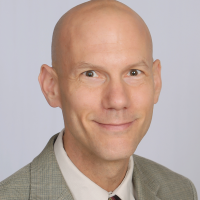 Prior to coming to Cigna in 2011, Dr. Lustig served as an associate clinical professor in the Department of Psychiatry at the University of California, San Francisco as the director of the Child and Adolescent Psychiatry Residency Training Program. He received his Doctorate of Medicine from Rush Medical College and completed his psychiatric training at Stanford and Harvard hospitals. He also has a Master in Public Health from the University of Illinois School of Public Health. Dr. Lustig is the director of School Psychiatrists and has provided consultations to numerous school systems in the San Francisco and Boston areas.